There are different reasons why PGG is called cornsnake.Some say because it was often found in the neighbourhood of cornfields where it can find prays like mice & rats.Other refer to to the pattern of the belly of the snake that reflects the pattern of a corn .Elaphe Guttata means deerskin in Latin ( like its pattern on the back ). Sometimes it is also called red ratsnake or the North American ratsnake because of its origin in the wild. which means cornsnake. 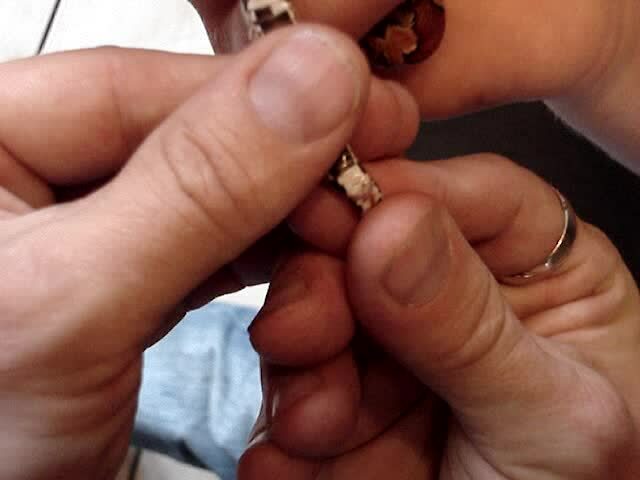 It is all about the same animal with the Latin name Pantherophis Guttatus , where there is no doubt which animal we are talking about ..
Probing can be used for sub-adult or adult animals.You need a set of sexing probes with different sizes .Depending on the size of the animal , you can use a small or a bigger probe. Beforehand you have to disinfect the probe and using a lubricant as vaseline that will help to bring in the probe gently . A mal e : the probe will go in 7-12 scales . A female : the probe will go in 2- 4 scales. 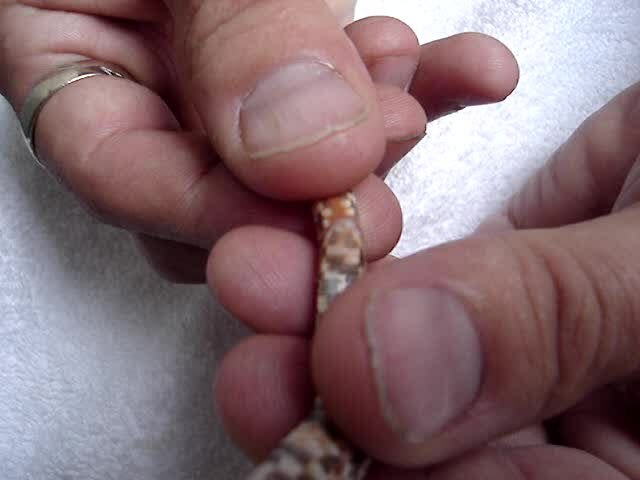 Popping can be used by young animals as hatchlings .You can easily evert 1 or both hemipenes by applying gentle pressure by the thumb.This is a male !When you do the same practice and you see only 2 little red dots ,it a female .